Fans of the multiplayer experience for Gears of War 2 can now enhance their gameplay with the recent release of the Snowblind Map Pack. 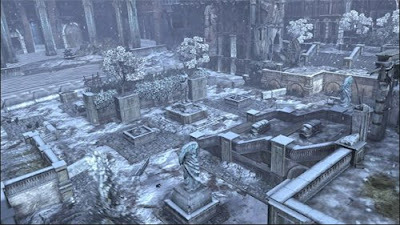 Available for download on Xbox LIVE for 800 MS Points, the Snowblind Map Pack contains 4 winter themed maps - 3 of which are new and a rehash of a Gear of War multiplayer map. Coutyard: This map is broken up into two main areas - an expansive and open courtyard with various waist height structures scattered throughout and an elevated platform accessible by steps up the middle and either sides. Directly below the platform is a nook with direct entrance gained on either side of the middle steps. This is a great area for coverage and to lure your enemies into for concentrated and close range fire fights. Grindyard: Here you are presented with elevated and enclosed room-like structures on either sides of the map as well as an elevated office in the middle. All these areas are accessible via ramps and stairs. There are abandoned cars and metal cargo boxes scattered around for good coverage - especially from fire coming from any of the elevated areas. This is a good compact map that elicits a lot of close range combat. In fact the way this map is laid out, it's reminiscent of an indoor paintball arena. Action is fast and swift. Solo heroics is not recommended. Under Hill: This is the most unique layout of all the maps. The main battleground consists of a small open middle area with a few abandoned cars for coverage. There's a large building that is broken up into five areas that are all interconnected. The building's central area can be entered through a motorized garage door that can be activated from outside and inside. The areas on either side of the middle can be accessed from open entrances at the front of the building. In addition, directly opposite the building is a road that is spit in the middle by a median and leads to an elevated area. First person to reach this elevated area will find a very useful and effective mortar. This is a fast paced map with many opportunities to sneak up on your enemies for an unsuspecting takedown. 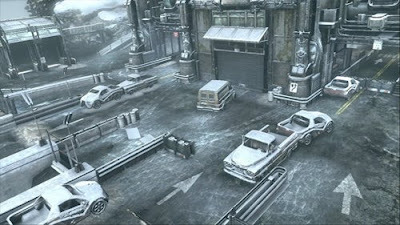 Fuel Depot: This is the popular map from the original Gears of War...now with a wintery treatment. 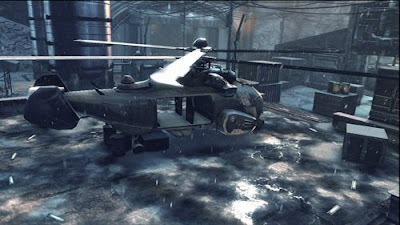 Large open map with a hanger/storage building in the middle that is good for some coverage and close combat. Many opportunities to take advantage of the ability to use grenades as proximity mines. 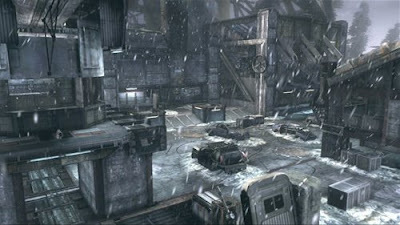 A great map and addition to the Gears of War 2 list of maps for online play. All in all, the Snowblind Map Pack is a solid collection of maps that will provide new flavour and added replay value to your Gears of War 2 online gameplay. All the maps are extremely fun to play and calls for fast and intense action. Well worth the 800 MS Points.